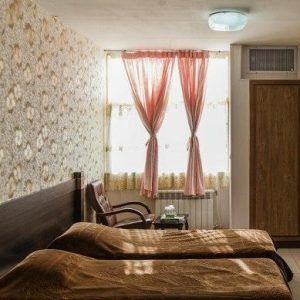 " Address: Vank Cathedral Street, Hakim Nezami Street, Isfahan Jolfa Hotel of Isfahan In case you’re interested in staying in an old and historic neighborhood on your trip to Isfahan, we highly recommend this Hotel to you. This hotel is located next to the 400 year old Vank Cathedral. In this peaceful and quiet neighborhood, you can find various gourmet traditional, Iranian, and foreign restaurants. The taxi cab service of Jolfa Hotel is always available for the guests. "